Just what are you saying, Mr. Joel? Every time I hear the song This Night by Billy Joel*, I think to myself, “This would make an excellent wedding song.” I picture a couple dancing (maybe me, maybe not), enjoying the intimate moment on the dance floor, celebrating their first night as a married couple. It’s perfect. It could also be the anthem for a stalker. “This night, you’re mine. It’s only you and I.” Taken in that context, it’s kinda creepy. 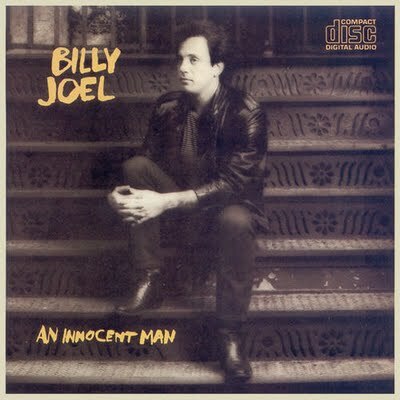 I’d like to think that Billy Joel wrote the song with good intentions, and he probably did. But still…could I have been fooled all these years? Could This Night be akin to The Police’s Every Breath You Take? Give a listen: What do you think? Safe for a wedding, or would we creep everyone out? *Yes, that’s right, Internet. I am coming out as a Billy Joel fan. I grew up listening to him on car trips and family vacations. He’s like home. Seeing Billy Joel in concert is like #7 on my list of things to do before I die! I can’t believe some people DON’T like his music. Most definitely safe for a wedding dance. I love that song. Why am I not surprised you are a fellow fan of Billy Joel? I was thinking that too. How did our mutual fondness for Billy Joel not come up already? He’s one of those artists that I can’t pick one single favorite song. I have at least 5 most favorites including Piano Man (of course), Shameless, Innocent Man, River of Dreams, and Captain Jack.